The Court’s internal review has a relatively limited remit. It is largely concerned with the workings of the ad hoc selection commissions responsible for recommending to the Lord Chancellor candidates for appointment to the Court. Each commission enjoys some limited freedom to determine its own process, but within the parameters set out in statute. The Court’s review focuses on matters such as whether commissions should define merit, whether to interview candidates and whether candidates should make a presentation as part of the selection process. To tinker with the fine details of selection processes might seem a distraction when real and visible progress in securing diversity on our top court seems unlikely absent radical reforms such as gender quotas. There is some truth to this. In this blogpost, however, we suggest four changes to the workings of the commissions that would improve the way that our top judges are selected, even if falling short of the sorts of changes required to realize a genuinely diverse Supreme Court. The composition of selection commissions is determined by statute. 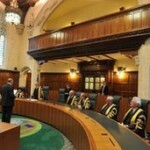 Simply put: these five-member commissions must comprise: the Court’s President; another senior judge from anywhere in the UK selected by the President; and a representative from each of the judicial appointments bodies in England & Wales, Scotland and Northern Ireland (at least two of whom must be lay people). Subject to these statutory requirements, the Court must do more to ensure that commissions are gender-balanced. It is entirely unacceptable for a commission to consist solely of men, as was the case in 2011 for the commission that recommended the appointment of Lords Carnwath and Reed. It is equally unacceptable that so few women have sat on commissions. Since 2009, five commissions have been convened to make recommendations to appoint new Justices to the Court. Twenty-five people sat on these commissions, but only six were women. No commission has had more than one woman on it since 2009, and only one of the five commissions has had a majority of women. There should be a statutory requirement for at least two women on every commission. At the moment, the only requirement is that the President and chair of the various appointments bodies, when deciding whom to nominate to sit on the commissions, “must have regard (alongside all other relevant considerations) to the fact that it is desirable that the members of the selection commission should include: (a) both men and women; and (b) members drawn from a range of different racial groups”. This is a weak requirement and should be replaced by a stronger statutory requirement for at least two women on each selection commission. The Court’s internal review is likely to focus only on non-statutory changes. Therefore we suggest that, as an interim measure, a convention should develop that there must always be at least two women on each commission. The Court should make a public statement announcing this (e.g. in a speech by the Court’s President). Following the Crime and Courts Act 2013, where there are two or more candidates of equal merit, a selection commission is able to prefer one candidate over the other for the purpose of increasing diversity within the group of persons who are Justices the Court. In other words, commissions can apply what is often called a ‘tipping point’ or ’tie-break’ policy. Deciding how and when to apply such a policy requires thought (e.g. should it only apply at the point that commissions make a final recommendation or also at short-listing?). The Court’s Chief Executive has served to date as secretary to each of the commissions. The Chief Executive should brief commission members that they are able to apply an equal merit policy and encourage them to give thought before the start of a selection round as to when and how they might apply it. Within the statutory framework, each commission is free to devise its own approach to making its recommendation within the limits imposed by the relevant statutes. It thus follows that each commission could adopt its own approach to equal merit: e.g. one year a commission could decide not to apply any tipping point, but in the next year a commission could apply it at both short-listing and in its final recommendation. But this is an area where transparency, consistency and consultation are very important. The Court should therefore consult on the content and application of an equal merit policy. It should then articulate guidance for commissions on how and when to apply the equal merit policy. This guidance should be published on the Court’s website and a summary included in the Information Pack for potential applicants. As an ad hoc body, there is a limited amount that each commission can do in terms of “outreach” work. However, there is good evidence to suggest that under the pre-2005 process using “the tap on the under-represented shoulder” by Lord Chancellors was important in encouraging candidates with non-traditional careers or backgrounds to put themselves forward. Now that the Lord Chancellor has such a limited role in the process, it falls to the members of the ad hoc commissions and the Justices to fulfill the role of actively seeking out highly qualified candidates from non-traditional careers and backgrounds and encouraging them to apply. During confidential interviews conducted as part of an AHRC-funded project on The Politics of Judicial Independence, some commission members, judges and Justices indicated to us that they were concerned that such approaches were no longer appropriate in the more formalised post-2005 appointments system. (We want to emphasise that this comment was made to us by senior judges in respect of appointments to the Supreme Court as well as more generally in respect senior judicial appointments in England & Wales). The misconception that such outreach is inappropriate must be countered. We suggest that the Chief Executive brief commission members at the start of the process that they can encourage potential candidates to apply and that consideration should be given to doing so for candidates from non-traditional backgrounds. We also suggest that the Court’s Deputy President (who no longer sits ex officio on selection commissions) should be charged with a special responsibility for approaching potential candidates from non-traditional backgrounds. As we have already noted, the Court’s review is primarily concerned with the process by which the commissions make recommendations to the Lord Chancellor. We would nevertheless encourage the Court’s leadership to reflect on the process more generally. For sure, the process is much more transparent than the pre-Constitutional Reform Act regime; there is now a much more formal process with clear selection criteria. But there is now also a serious accountability deficit in the appointment process. The Lord Chancellor’s power to reject or request reconsideration of the recommendations made by the commissions has not been used. Comments from senior judges come close to suggesting that the power might be unusable (e.g. when Lord Phillips suggested that use of the Lord Chancellor’s power might be taken to signal that a commission was recommending ‘a judge in whom the government had no confidence’). It is difficult to imagine the basis on which the Lord Chancellor might make such a claim of someone who would, in all likelihood, already be a very senior serving judge. What this means, then, is that the stakes have been raised so high that the Lord Chancellor’s power may have become unusable other than in wholly exceptional circumstances. If this turns out to be so, these commissions will have become de facto appointing bodies, with the Lord Chancellor offering a veneer of accountability, but little in reality. In a forthcoming book (with Robert Hazell and Patrick O’Brien) we argue that there should be greater political involvement in the appointment of senior judges such as Supreme Court Justices. Political involvement serves multiple purposes, including: (i) injecting an essential democratic nexus into the process of appointing top judges who, as most today recognize, perform an important policy function; (ii) creating scope for political leadership on judicial diversity, which as the experience of other countries suggests is often a critical ingredient for making fast and visible progress on diversity; and (iii) ensuring that politicians retain a stake and appreciate the importance of an independent judiciary. There are a number of ways to enhance political involvement in the process of appointing Supreme Court Justices. For example, the commissions could present the Lord Chancellor with a short-list of, say, three names from which to appoint or there could be some form of parliamentary hearing, which could be either pre- or post-appointment. We acknowledge that there is only limited support for these suggestions within the political class, let alone amongst senior judges. However, to paraphrase Sir Thomas Legg (a former Permanent Secretary in the Lord Chancellor’s Department), we believe that political involvement ‘will not bring the [Court] into the political arena any more than it will be anyway, and may help to keep it out’. As we see it, experience in jurisdictions such as Canada suggests that over time public and political interest in options such as these will grow and the Court must be prepared to consider them. Possibly more popular amongst the political and legal classes would be to expand the selection commissions to include a couple of politicians from the UK Parliament; e.g., representatives from the Justice Committee and the Constitution Committee. This would provide a nexus between the process with the political class, without drawing the Lord Chancellor into individual appointments (which is, after all, what many fear). Admittedly, this option falls short of the sort of political involvement that would allow real political leadership on judicial diversity, but it at least signals an appreciation of the stake that politicians have in fostering an independent, well-qualified and diverse Court. Above all, it would begin to open up the selection process. At present, the process is a closed shop. There have been six commissions since 2009 that have made ten recommendations: i.e. nine new appointments and one selection from among serving Justices to fill the vacancy of Deputy President. Only ten different people have sat on the selection commissions! Even if including representatives from the Commons and Lords is a step too far, serious consideration should be given to expanding the size of the commissions. One step would be for the Court to encourage the JAC, JABS and NIJAC not simply to nominate their chairpersons to sit on the commissions. The chairs of the JAC and JABS (Christopher Stephens and Sir Muir Russell) have sat on the last four and five commissions respectively. Sitting on the commissions is no doubt time-consuming and onerous, and it may be that the JAC and JABS chairs feel that they ought to bear this burden. However, it would be much better if the JAC, JABS and NIJAC adopted a practice of rotating the members of their own bodies who are nominated to sit on the ad hoc selection commissions for the Court. The JAC, JABS and NIJAC should articulate a commitment to do so in their annual reports. Graham Gee is a Senior Lecturer at Birmingham Law School and Kate Malleson is a Professor of Law at Queen Mary. Between 2010-2013, they worked with Robert Hazell (UCL) and Patrick O’Brien (LSE) on an AHRC project on The Politics of Judicial Independence in the UK’s Changing Constitution. The first three suggestions are uncontentious, and correct. The fourth is quite wrong. It reflects a widely held but deeply wrongheaded view of the judicial function and law itself. It is vital if respect for the rule of law is to be maintained that the principal criterion applied in making judicial appointments is legal judgement. It is a basic mistake, often made by lay people, to think that because judicial decisions concern matters of deep political controversy that their resolution is necessarily therefore a matter of a judge’s political views. This error has caused enormous damage to the respect for the law itself in other jurisdictions, most obviously the United States. The politicisation of judicial appointments has the potential to undermine both the quality of decision making, and acceptance of the court’s decisions. This is especially so as the quantity of work the court sees in relation to matters of constitutional significance has increased. Whether a judge deserves promotion should be determined by his or her ability to properly analyse and resolve complex tax issues, or knotty problems in private international law. Political representatives simply do not possess the skill set required to assess matters of this kind. Indeed, the temptation will be to assess appointments by reference to the irrelevant criteria that they do understand. Allowing political representatives into the process will seriously undermine the understanding and respect for the independence of the judiciary amongst both politicians and the general public. The mistaken impression will be reinforced that whether or not a judge is or is not able is a political question, capable of being judged by non-legal criteria. Any study of the quality of the judiciary in closely comparable jurisdictions to the UK (eg Canada, Australia) reveals that the quality of the judiciary is not improved by politicising the process of appointments. Quite the reverse. We are very lucky in the UK both in the quality of our judiciary, and the widespread acceptance of the result of judicial decisions. In a pluralistic society such as our it is essential that we hold on to Owen Dixon’s idea of strict and complete legalism. The great challenge that faces our courts is in improving diversity. We can, and must, achieve this without undermining the judicial authority of those selected. Citizens of the UK are indeed very lucky “both in the quality of our judiciary, and the widespread acceptance of the result of judicial decisions”. They are less lucky to have a senior judiciary so lacking in diversity and equally unlucky that progress on diversity at the very top of the judiciary under the post-2005 processes continues to be painstakingly slow. The politicisation of the judicial appointments process, in the sense of party or ideological control, would be wholly undesirable. But maintaining a meaningful link between the political system and the judicial appointments process is not the same as, or likely to culminate in, this form of politicisation. Talk of the politicisation of appointments can be used as a bit of lazy shorthand; there are a great many different senses in which appointment processes are inevitably political, no matter how they are designed. 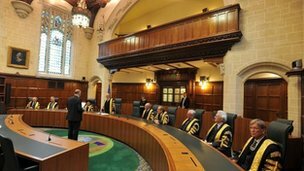 Maintaining space for political representatives into the process will not ‘undermine the understanding and respect for the independence of the judiciary amongst …politicians” any more than it did when the Lord Chancellor controlled the process. On the contrary, our forthcoming work (with Robert Hazell and Patrick O’Brien) suggests that today the greater threat to independence lies not in excessive political engagement in day-to-day decisions affecting the judiciary (including appointments), but in excessive political disengagement. While “legal judgment” must remain a key criteria that any commission should take into account when making recommendations for the most senior judicial offices, there are many other facets to merit when selecting between highly qualified candidates. The current narrow definition of merit works to exclude from serious consideration candidates for the higher judiciary from non-traditional backgrounds and careers. One reason why we favour a more inclusive selection process for senior judicial posts that incorporates meaningful political involvement is to render it more likely that such narrow, exclusionary understandings of merit are challenged. This reflects a remarkably short historical perspective. It is true that in the final years of judicial appointments by this method, under Mackay and Irvine, this was no longer a problem. By that point the role of Lord Chancellor had become de-politicised: a representative of the judiciary in cabinet. That, of course, is no longer the position today. You do not have to go very much further back in time to an era when this was not so. The era is not long gone when preference did depend upon whether you were ‘sound’ (ie held particular political views). Plenty of examples of judges promoted or held back because of their views on matters irrelevant to their ability.. In terms of ability, there are none. There are other critieria that have to be taken into account (for example the pressing need to improve the representation of women, BME groups etc) but in terms of ability to be a judge that is the only one. Hence the name. I am also not as sanguine as you are that establishing a “meaningful link between the political system and the judicial appointments process” will only have the nice liberal consequences we would prefer. In other jurisdictions we have seen judicial appointments and promotions explicitly done on the basis that an appointee will not be a ‘judicial activist’ (it is embarrassing in a public forum to give you the examples of individuals promoted in this way). The most important lessons we can learn from other jurisdictions with similar structures and history is how not to do things, and how alarmingly quickly things can be made worse. Leave a reply on "Selecting the Justices: Four suggestions"